If there are two areas of make up I wish I had more skill in, it’s eyebrows and eyeliner. If you saw my video on You Tube talking about my make up goals for 2015 (linked here) you will know that one of them is to finally accomplish the winged liner look. I’m still not feeling anywhere near confident with applying it, but have heard lots of good things about the Soap & Glory liner. 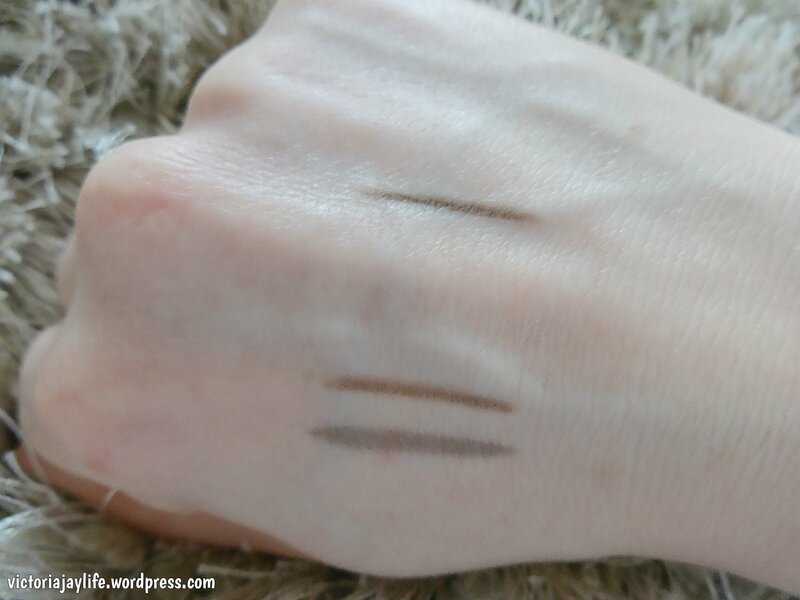 I’ve also been wanting to try the much-hyped Anastasia Brow Wiz and Hourglass Arch Brow Sculpting Pencil, and the Soap & Glory versions seem to be widely hailed as dupes for these. So when I was in my local Boots and these products were all in stock and on a ‘3 for 2’ offer (the two had never happened at the same time before!) I couldn’t resist a purchase. 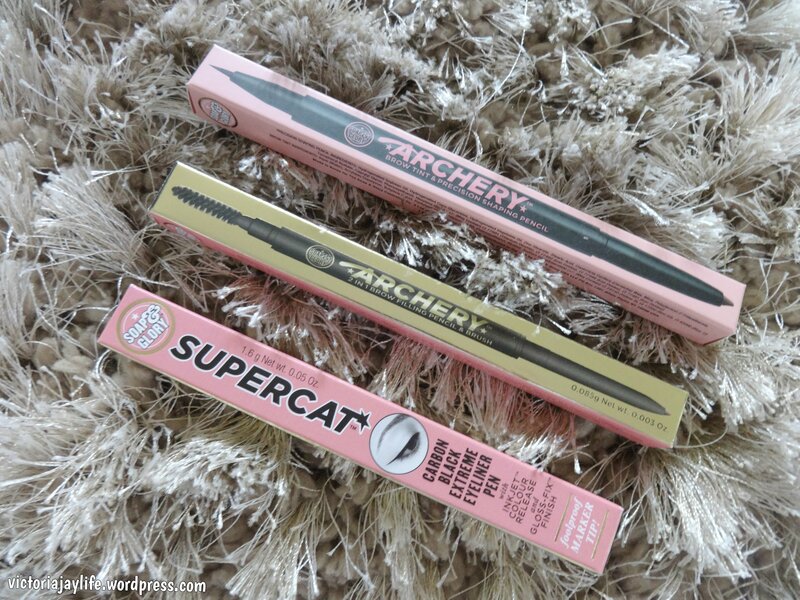 From left to right, I bought the ‘Archery‘ in the colour ‘Brownie Points’ (£10), the ‘Archery Brow Pencil‘ in the colour ‘Hot Chocolate’ (£8), and the ‘Supercat‘ black liquid liner (£6). For reference, I would describe my hair (and eyebrow) colour as dark brown. 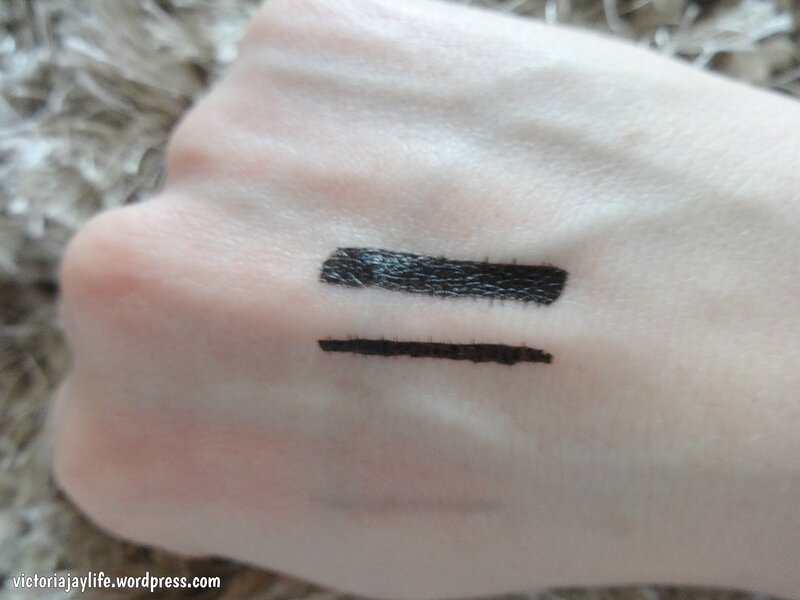 A definite down side of the Soap & Glory eyebrow pencils compared to their high end counter-parts is the much smaller range of shades (essentially each one comes in two shades – brown and light brown/blonde). I’ll start with Archery. This is double ended with a pen on one side and a crayon on the other. The pen is the very bottom swatch on the photo above, and the crayon just above it. I was surprised to find that the colours are pretty different, as you can see, with the pen being a much cooler brown and the crayon warmer. The pen ‘nib’ is very flexible, which I like as it makes for a more natural effect, but I found I had to apply a lot of pressure to get a decent colour pay off from the crayon. Onto the star of the haul for me, the Supercat liner. Initially I had reservations as when I swatched the product on my hand, there was a lot of ‘bleeding’. However, this did not happen at all when applied to the lids (I guess I must just have wrinkly hands!) The ‘nib’ is thicker than I’m used to and I thought that would make it harder to work with, but somehow this wasn’t the case. You can apply different pressures to get various line thickness, as the photo above shows. Best of all, I was magically able to apply a wing on my first attempt. It wasn’t a fluke either, as I did both eyes! It was nowhere near perfect but better than any attempt I’ve made using other products, and with more practice I’ve got high hopes! I would recommend this eyeliner to anyone who usually struggles with this kind of product. Do you have any Soap & Glory recommendations? Comment below if you do! My husband and I don’t mind admitting that we are huge Disney fans. I’d say we have visited Disneyland Paris more than your average adults and therefore have some wisdom to share! A quick internet search, and you will find plenty of advice for families visiting Disneyland Paris, which is to be expected as clearly they are Disney’s biggest customer. However, the advice I’d give to couples is very different and so for first timers or veterans alike, here are my top 5 tips. Bonus tip: if you book tickets as soon as they are released (which I think is 6 months in advance) you can get them for £72 return per person. As a couple if you have the flexibility of not having to travel during school holidays, and you don’t mind the cold, then winter is the time to go! You’ll find it’s much cheaper and the parks are quiet. There are still enough people around for there to be a good atmosphere, but in our experience there is barely any queuing. Most, if not all rides seem to remain open too. Wrap up though! We tend to go in February when there is often snow and/or temperatures well below freezing. I’m talking thermals, snow boots, layers, gloves and woolly hat weather! This tip is actually not exclusive to couples and I would recommend this to anybody who is planning a trip to Disneyland Paris. You can sign up by visiting the website, here. You will be tipped off about upcoming special offers. Offers seem to be available at most off-peak times, but peak times too. The best value one we’ve used is the ‘Free half board menu plan’ saving us a lot of money on meals. If you are reading this when published (April 2015) they have this offer on now. Another advantage of staying in an onsite hotel, is access to the concierge service. Some people may be surprised to learn that the parks have a selection of decent table service restaurants (i.e. not just the fast food counters and buffets). You can book any of these through the concierge service rather than traipsing around the parks and booking them individually. Popular favourites are the Blue Lagoon and Walt’s. So you can have ‘date night’ even when visiting Disneyland Paris! 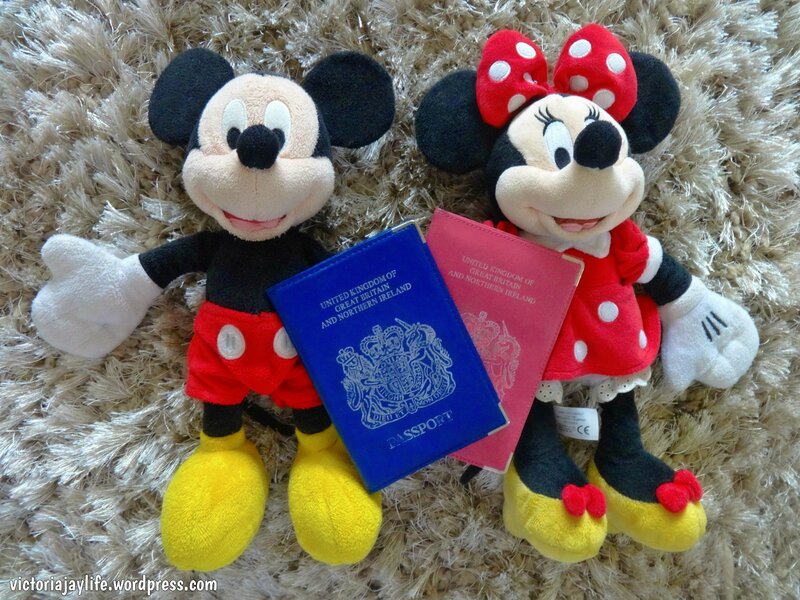 Do you have any tips for couples travelling to Disneyland Paris? Share them below! 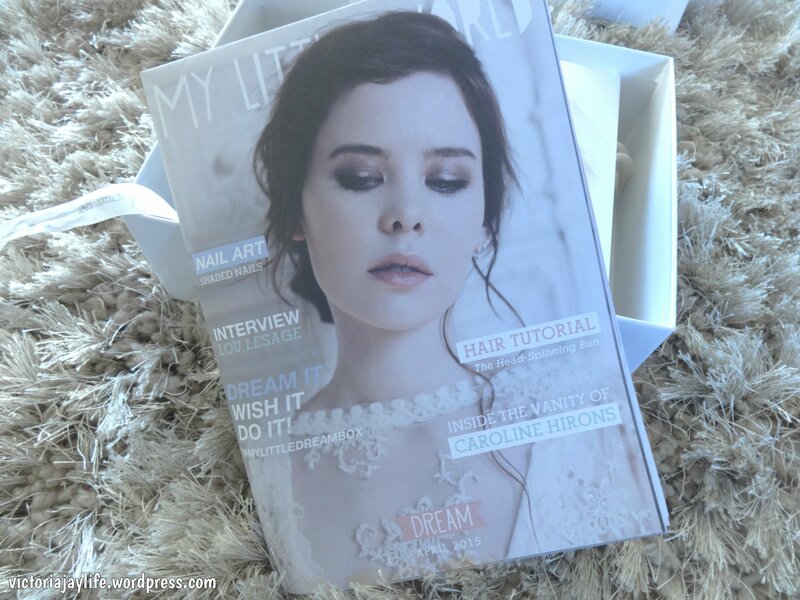 My Little Box is the first beauty subscription box that has made me part with my cash. I’ve dabbled in beauty boxes before having received a three month subscription to Glossy Box and a one off box from Look Fantastic as gifts, and really enjoyed both of them. However, I haven’t been persuaded to sign up for a subscription myself – until I found out about My Little Box that is. So what made me sign up to My Little Box? The subscription contains French beauty products – a market I have been interested in ever since I discovered the ‘magic’ of Micellar water. Even better – the box always contains fashion or lifestyle accessories too so you are getting more than just another beauty box subscription. All this for £11 per month plus £3.95 postage and packaging makes it competitively priced. I’m on my third box, and each one has had a different theme. All have been winners as far as I’m concerned! 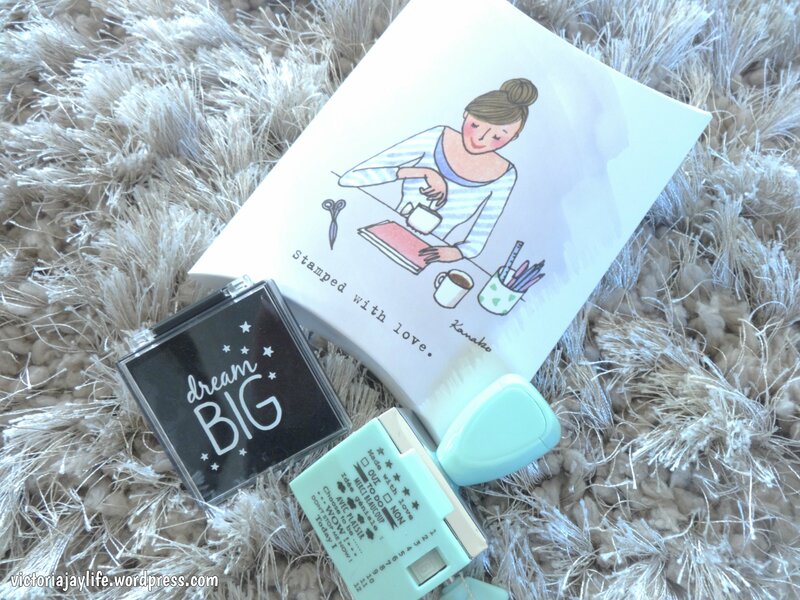 Onto April’s box – the My Little Dream box. It came beautifully packaged as you can see, and contains a card with a Walt Disney quote. 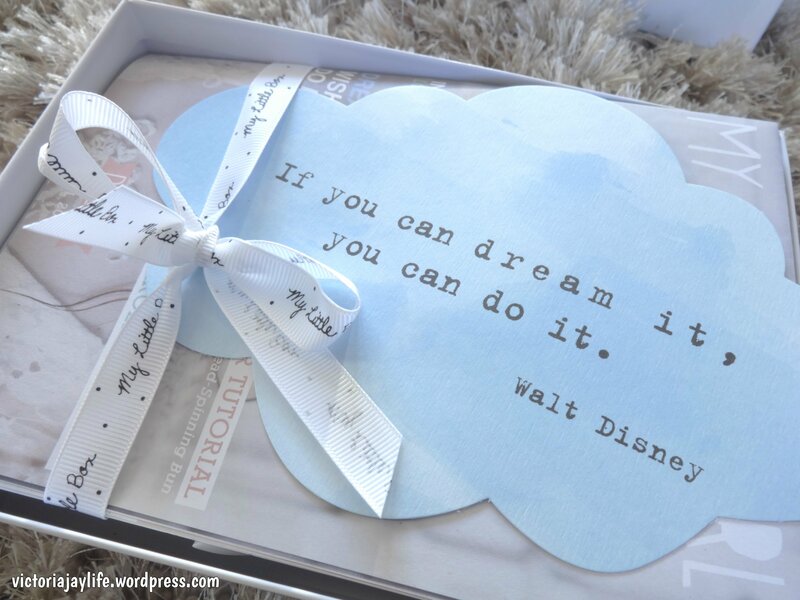 All boxes so far have included inspirational quotes, and being a huge Disney fan this is my favourite yet! Also included, as is every month, is the My Little World magazine. Always well worth a read including beauty and lifestyle tips. 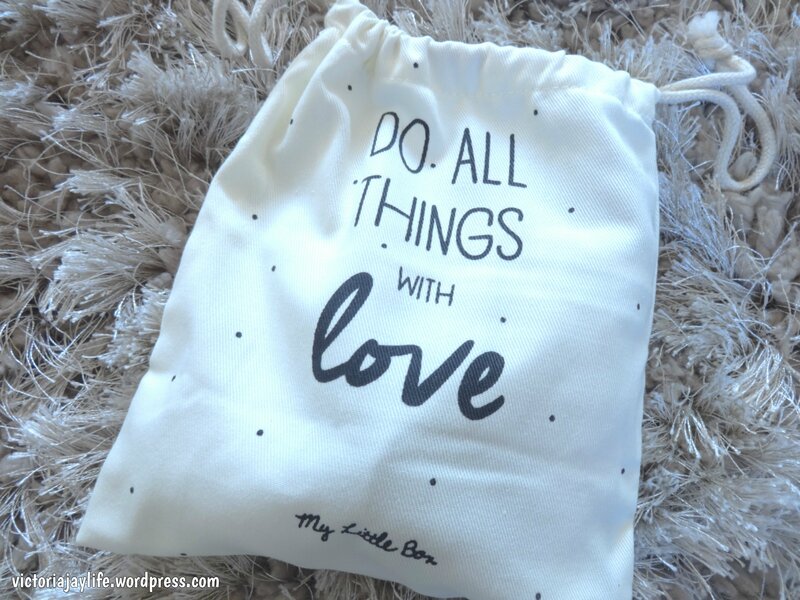 The beauty products always come in a cute little canvas bag, which makes a lovely keepsake. As with other subscriptions, there seems to be some variability between the boxes which makes it a surprise even if, like me, you are addicted to reading blog posts about subscription boxes, or watching unboxing videos on You Tube! 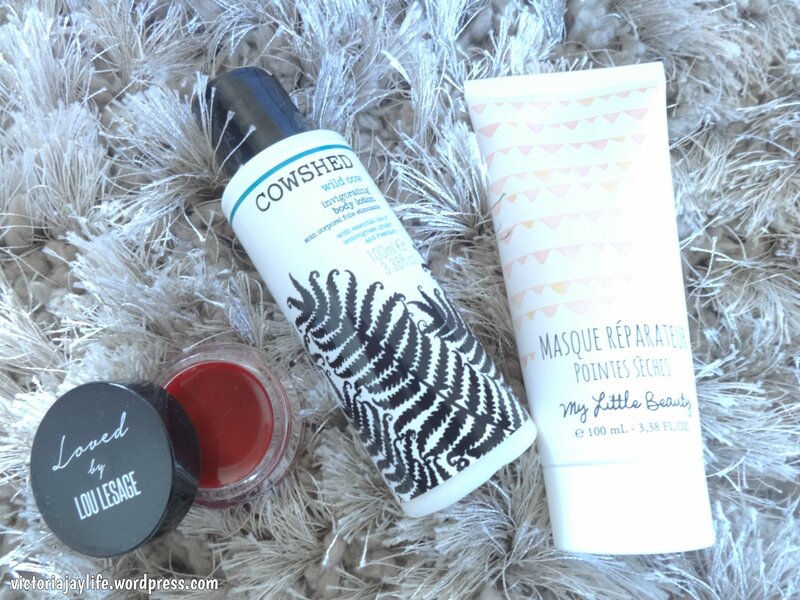 This month I received a Loved by Lou Lesage tinted lip balm (worth £8), a Cowshed wild cow body lotion (worth £18) and a My Little Beauty hair mask (worth £7). My Little Beauty is a company created my My Little Box themselves, and they include a product in the box every month. The box also contains cards explaining about the products and are beautifully written, telling a story rather than being purely factual. 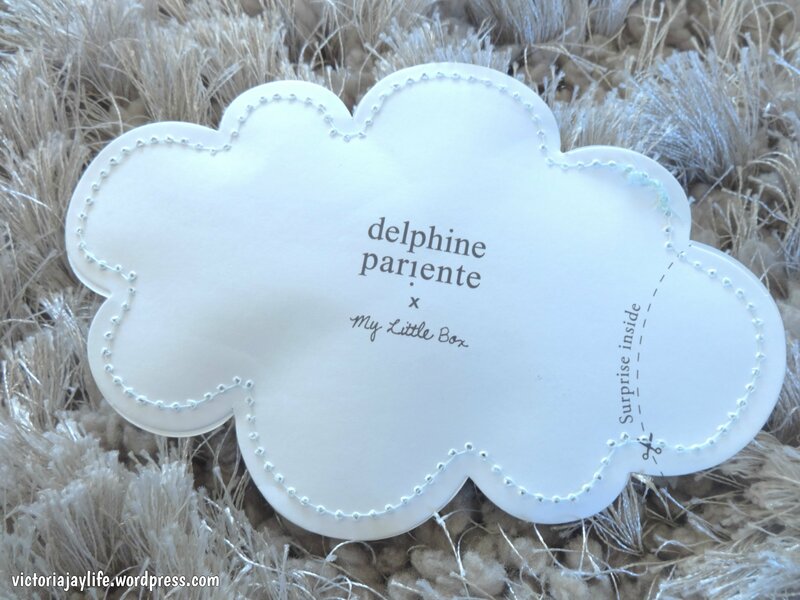 These cards come in very handy when a lot of the time the writing on the packaging is in French! Onto the ‘non-beauty’ content. First up this month is a stamp with ink (worth £8). This box is definitely a good pick for lovers of both beauty and stationery or crafts, as there have been previous items of this nature. 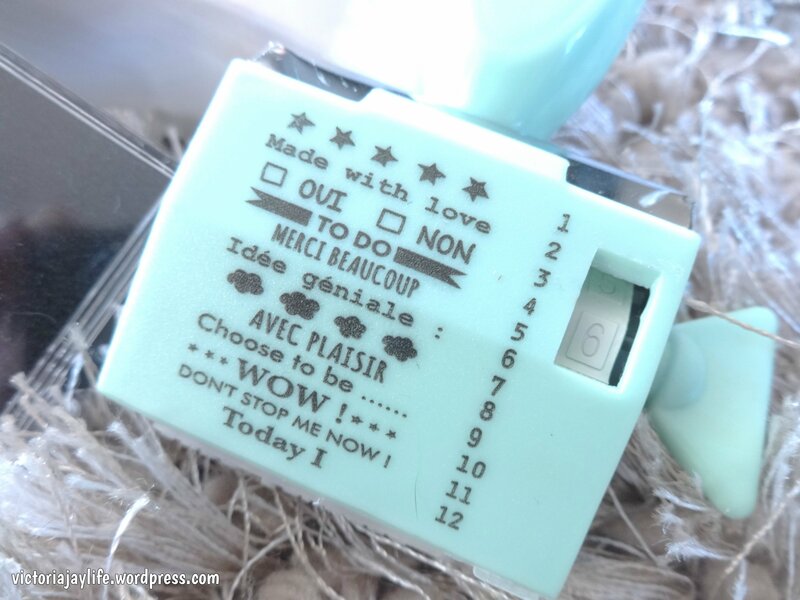 Keeping with the positivity theme the stamp is full of both inspirational and practical phrases, in French and English. Finally, was an exciting little package! The way items in this subscription are presented is another draw of the box for me – always very girly but stylish. 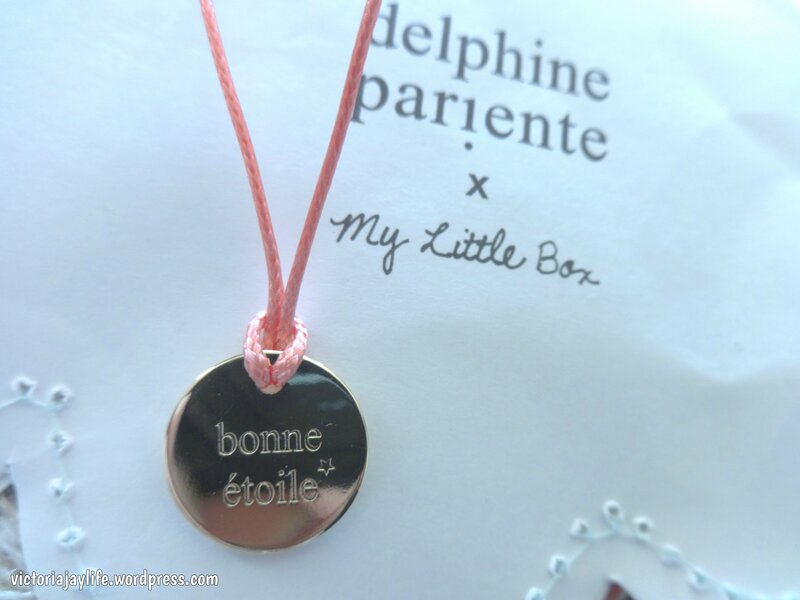 Inside is a beautiful pendant on a cord necklace by the designer Delphine Pariente (worth £20). The card explains that ‘bonne etoile’ means ‘lucky star’. Even if the necklace is not to your taste as far as jewellery is concerned, it makes a gorgeous little trinket to display somewhere in your home – mine is currently hanging over my dressing table mirror. The mathematically minded of you (not me – calculator required!) may have noted that the total value in the box is £61. So for value for money, originality and design – this is a great subscription service in my opinion. You can sign up for My Little Box here (not an affiliate link). Let me know your thoughts if you decide to sign up, or are already subscribed! Welcome to Victoria Jay life! For my first post, I thought I’d tell you a little bit about me, and what to expect from this blog. After much dithering, I have finally decided to start a blog. It’s ‘kind of’ an extension of my You Tube channel (linked here). I say ‘kind of’ because my channel is mainly beauty related with a little sprinkle of fashion and lifestyle. I have so many other loves that I often feel inspired to share with others, and I thought a blog would be the perfect place to do this. 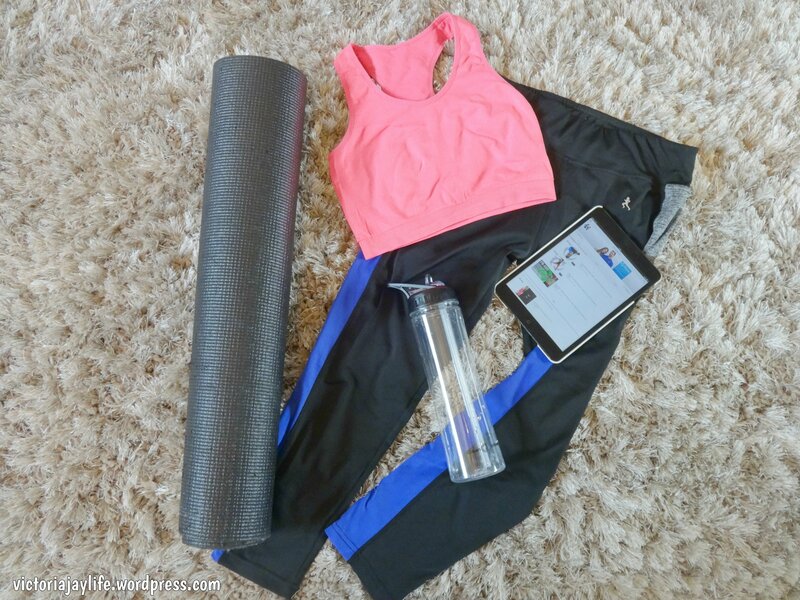 Fashion, Restaurants, Travel, Food, Fitness, Shopping, Home Decor, Musicals, Cats(! ), Days Out. I don’t plan to have a specific schedule. Blogging and You Tube are a hobby for me, to be fitted in around a full time job and other responsibilities. But I promise to upload as often as I can and keep posts varied and interesting!